ABOUT THE AUTHOR: Alexandra Carr-Malcolm was born and raised in Chesterfield, Derbyshire, UK, and now lives in Sheffield, South Yorkshire. 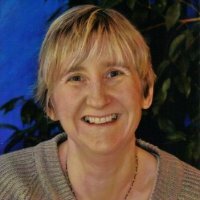 She works as a freelance British Sign Language Interpreter, and has been writing since my childhood. Two years ago, encouraged by her friends, she set up a poetry blog at www.worldlywinds.com. She has been extremely fortunate to have had some of her poetry published in five collaborative anthologies, by Dagda Publishing, with part of the proceeds donated to two charities. She is delighted that her poetry, in a small way, is contributing to raising funds for charity. Most of her poetry is about the human predicament and can be emotive and at times dark. The elements of poetry that she enjoys working with are word play, hidden meaning, and cadence.